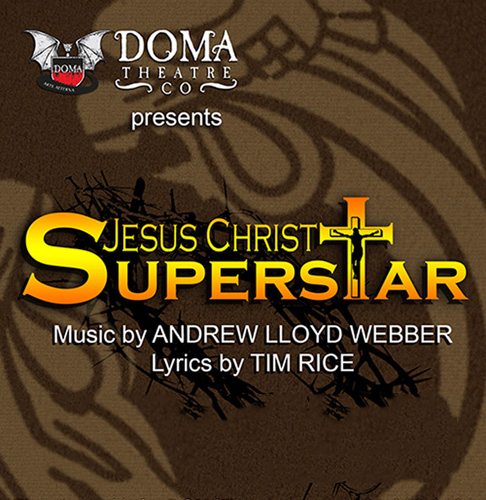 DOMA Theatre Company’s new rendition of Andrew Lloyd Weber and Tim Rice’s 1970’s ground-breaking rock opera, Jesus Christ Superstar is simply a hit. Slightly modernized to the concept: “What would it be like if Jesus walked around now in a world of Twitter, Facebook & Selfies,” it’s many parts, Goth, glitter and new wave bohemia including girl groupies, band-aides, army greens and skin cabaret moments amped up the flair and entertainment factor for the audience. 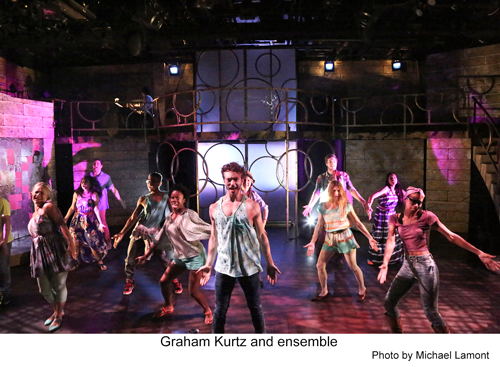 It’s an exciting, thoroughly accessible take on a classic for Los Angeles small theater and thank you DOMA for that! Of course, it would be pretty hard to screw it up. Radical for its debut in 1970 as a concept album which topped the American pop charts and ignited controversy by questioning the divine nature of Christ, then produced on Broadway in 1971 starring Ben Vareen as Judas, and then transformed into a feature film in 1973, it still, even after 40 years, remains a global phenomenon. DOMA lived up to every moment starting with its powerful lead singing cast, which included downright show-stopping performances chiefly by a beatifically stylized, self-sacrificing, totally hot millennial Jesus (Nate Parker), Judas Iscariot (Jeremy Saje), Simon (Graham Kurtz), Mary Magdalene (Renee Cohen), Pontius Pilate (Kelly Brighton), and Peter (Blair Grotbeck), who belted their hearts out reaching the stars with their incredible range. And the songs that older audiences will remember hearing in and out of the theatre are still as gorgeous as they were the first time they were heard anywhere. What DOMA also did was really step up the choreography factor this time. Truly boy follies fabulous in every way, I was only disappointed by the lack of space that some of the exceptional dancers in the chorus absolutely could have used. I got the feeling that if they actually had more room to move or if the nearly 23 member ensemble had been allowed to appear in waves and groups rather than all at once all the time, they would have been able to take the dancing to an even higher level. Never-the-less, there were really no disappointments here. Overall, every step, every note every moment, served the production well. There are 12 more opportunities to experience this performance. Don’t miss it!